Very Good. Claudette Blum and her father are among thousands of Jewish refugees fleeing over the Alps towards Italy. For the Italians have broken with Hitler and sued for peace, and here the Blums hope to find safety at last. 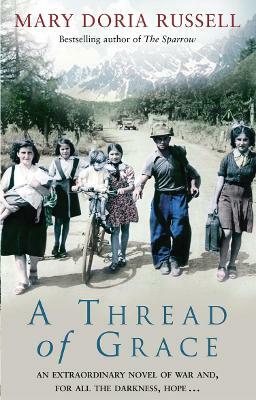 This book tells the story of those who sought refuge in Italy during the final phase of the Second World War. Num Pages: 512 pages. BIC Classification: FA. Category: (G) General (US: Trade). Dimension: 196 x 129 x 33. Weight in Grams: 354. A good clean copy with some minor shelf wear. 2006. 1st. Paperback.....We ship daily from our Bookshop. Excellent story, excellent writing. The characters walked right off the page they were so real. The story was exciting. Detailed history that played out as story. There was humor. It's one of the best books I've read in a long time. BUT be warned: it's not a light-hearted, everything turns out alright read. It is one of those books that I'm still thinking about weeks after reading. Although this is a fascinating story about the Italian Resistance during WWII, it could have been much better if the author had not skipped around so much. Even though there was a list of characters in the front of the book, it was too hard to keep up with them. I found myself going back to the front of the book to refresh my mind about the characters, some of whom had several different names. I did not like the writing style of Maria Doria Russell and probably would not buy another book written by her.